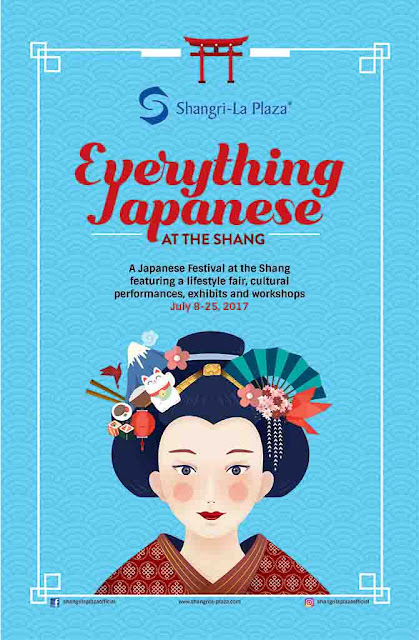 Shangri - La Plaza presents 'Everything Japanese', this is to celebrate Japan & Philippines Friendship. To bring our readers the best articles, we attended this 'Japanese Food Photography' held last July 16, 2017. The event made possible by Canon, CameraHaus, Akira and Sumo-san. 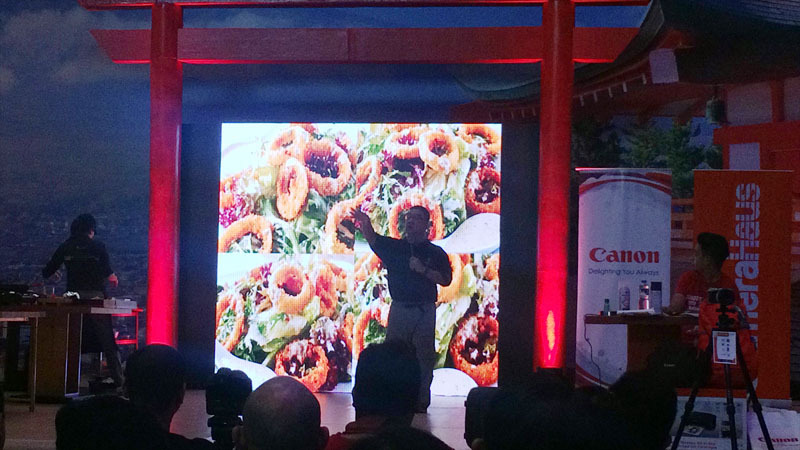 They invited veteran food photographer, Mark Floro, he's the person behind the mouth watering photos in Jollibee, Chowking, Mang Inasal and many more. He briefly talk about his 30+ years in the advertising industry and now teaching in PCCI Institute of Photography but for this event it is free. He taught us about the basics in photography, working on compositions through a live demo and how he treats his assistants with respect. 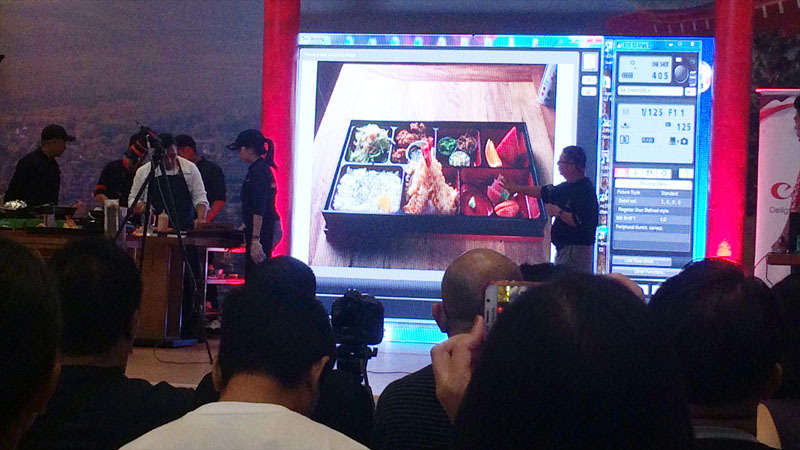 The yummy bentos were prepared by our chefs from the participating Japanese restaurant, Sumo-san (located at level 6) and Akira (Level 5 of East Wing) which our guest speaker photographer had chosen. He later gave us an assignment which were very important for people who would take photos of food seriously. First, you need a food stylist. a food stylist and a food stylist. His reason is that he have a limited time to do both. 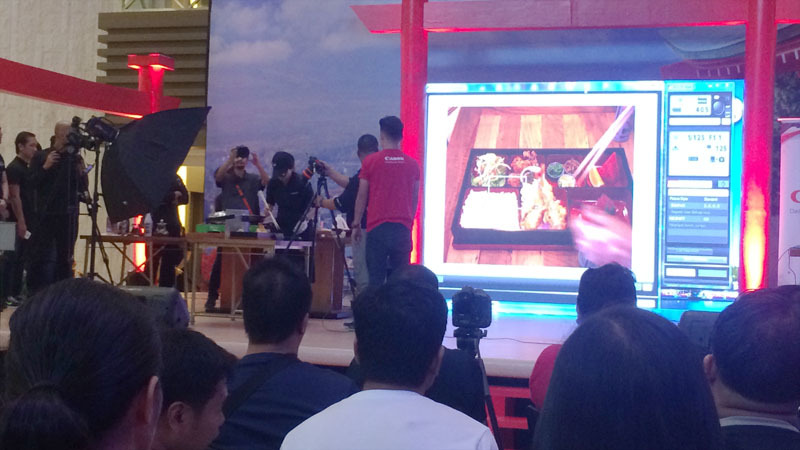 Setting up photo equipment and then food styling or vice versa is tiring and costy. He made sure to have a food stylist on each project he gets. His family members were food stylist he added. We've learned some tricks to bring out good photography. After the informative talk, the audience were encouraged to join the mini-contest and would take home goods from Canon and CameraHaus. 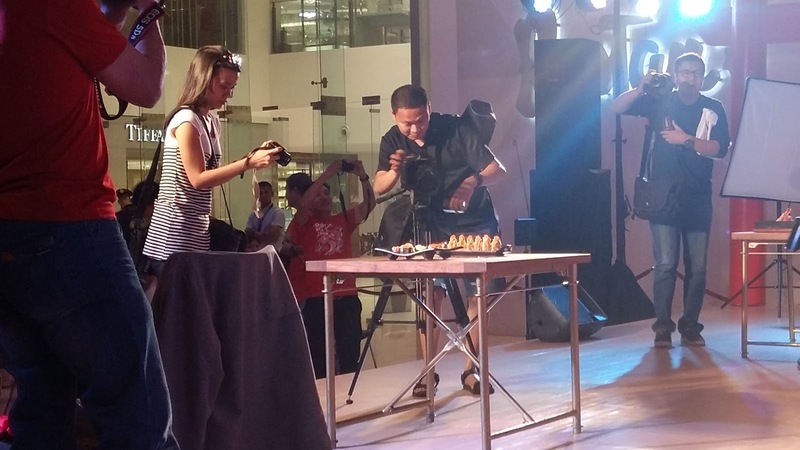 The event is open for Canon camera users. 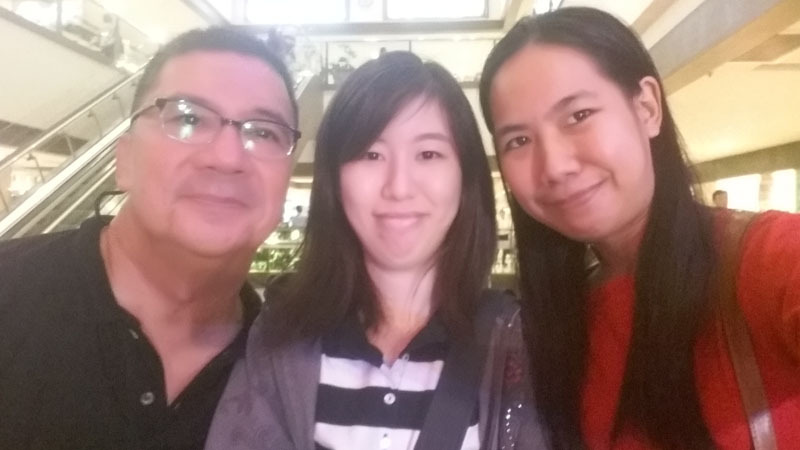 A photo of Mark Floro and two Angels. Thank you Angelica Chi-Young for coming with me and lending your camera phone as well on half the show. - Angel.